A uniquely Alaskan experience with exclusive intimate access to eagles and raptors, and a rainforest walk. 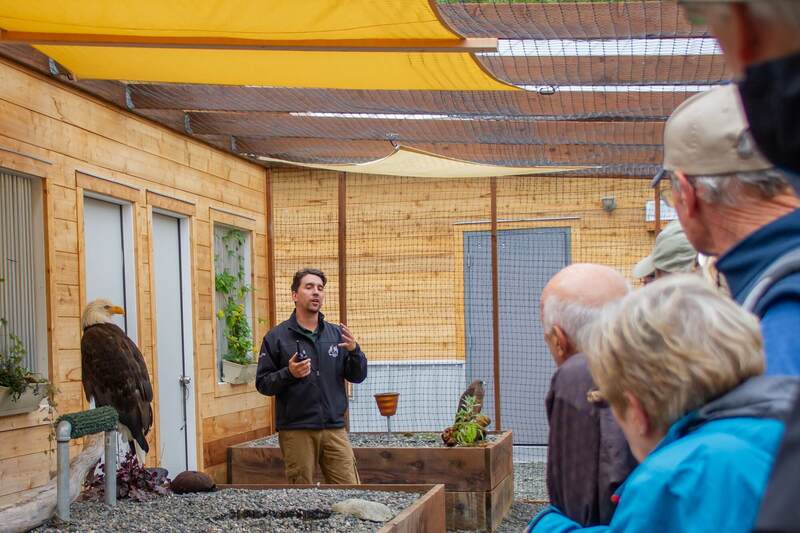 Experience Alaska’s newest and most intimate raptor presentation and exhibit. 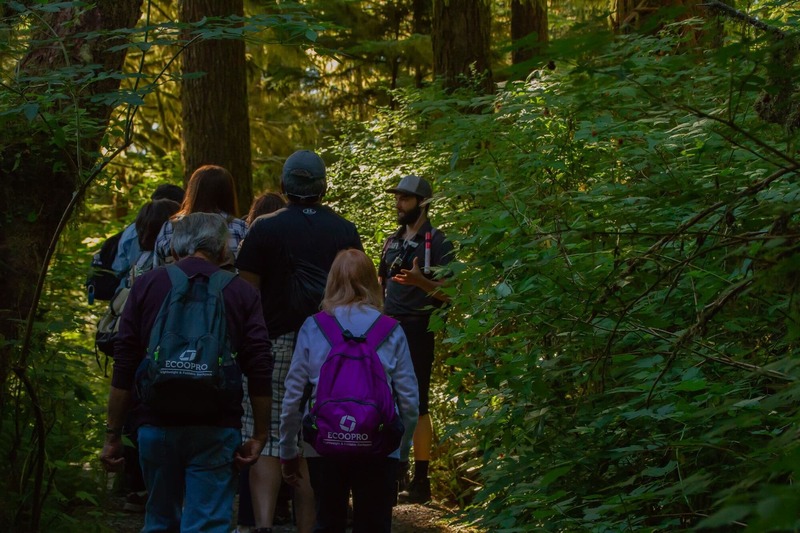 Take a guided nature walk exploring the wildlife and ecology of the preserve, and explore a historic sawmill, blacksmith shop, and totem park. Here’s how your tour in the rainforest will fly. 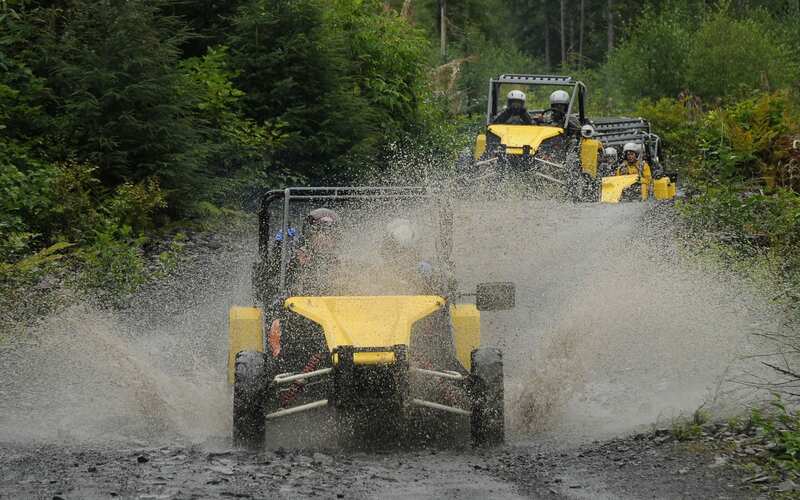 You’ll begin with a scenic coastal drive from Ketchikan that takes you to Alaska Rainforest Sanctuary, a private 40-acre reserve located in scenic Herring Cove. You’ll be greeted by a naturalist guide who will lead you on an informative half-mile nature walk surrounded by towering spruce, hemlock and cedar trees. During the spawning season, bears and seals feed on salmon in Herring Creek and Bald Eagles and other birds wait for scraps in the estuary. Seasonal ecosystem changes resulting in varying levels of wildlife activity. 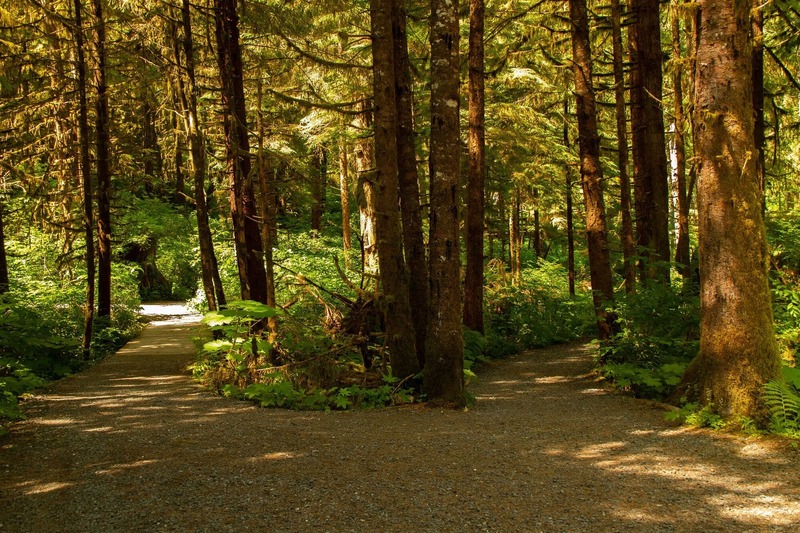 Your walk leads into the 1,500 square foot flight auditorium and the highlight of your visit to the Alaska Rainforest Sanctuary. 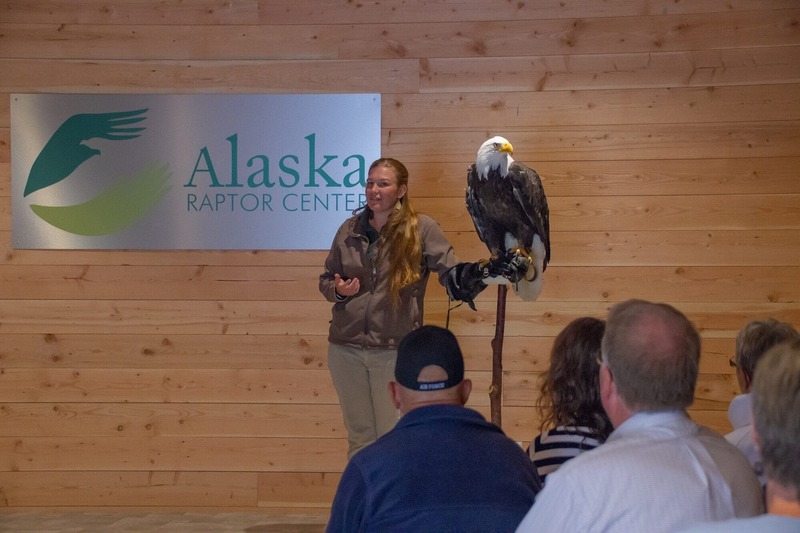 During a 30-minute, fully-narrated presentation, a handler from the Alaska Raptor Center will describe the unique physical and behavioral adaptations of the birds while showcasing their natural behaviors. 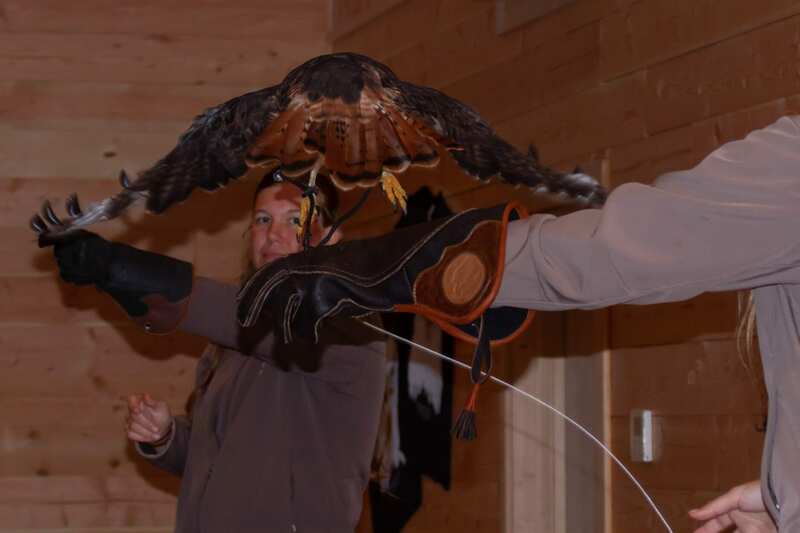 The exhibit is designed so you’ll be able to see these birds flying very close by, and the grand finale will take your breath away, as a Bald Eagle is presented. 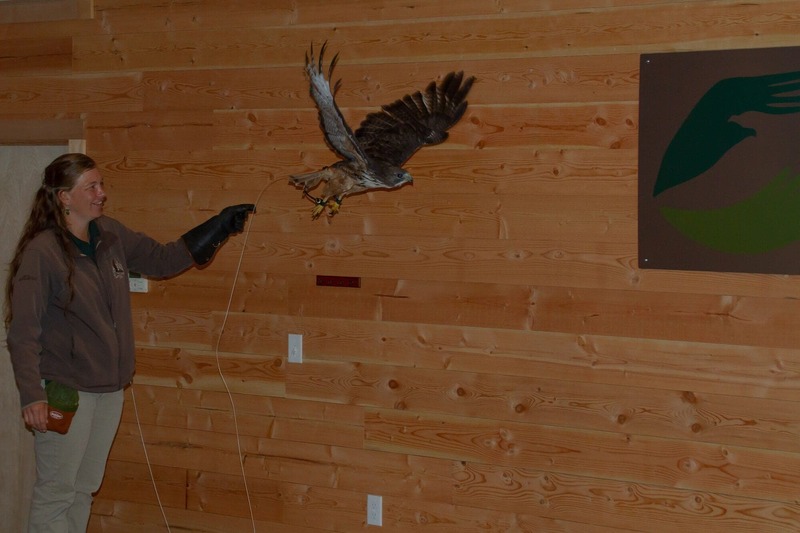 Thanks to tireless recovery efforts by organizations like the Alaska Raptor Center, this regal bird is no longer endangered. 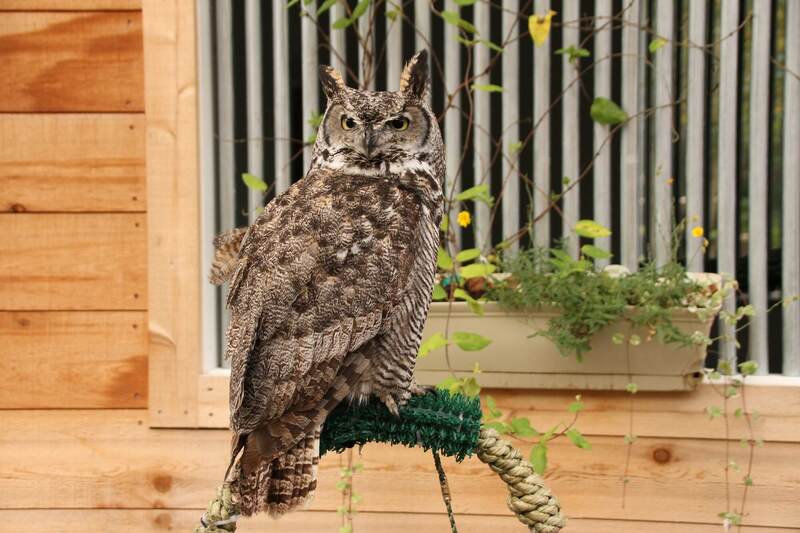 Your tour also includes access to the custom-built raptor courtyard where you’ll have time to ask the handler more questions and photograph these amazing birds of prey close up. More photo ops coming right up! You’ll have time to yourself before returning to town, so you can explore the historic Herring Bay Lumber Company Saw Mill, and the totem park with its impressive 40-foot totem. Watch a blacksmith at work and shop for souvenirs in the General Store. Please Note: Rain ponchos are available, if necessary. This tour operates in all weather conditions. 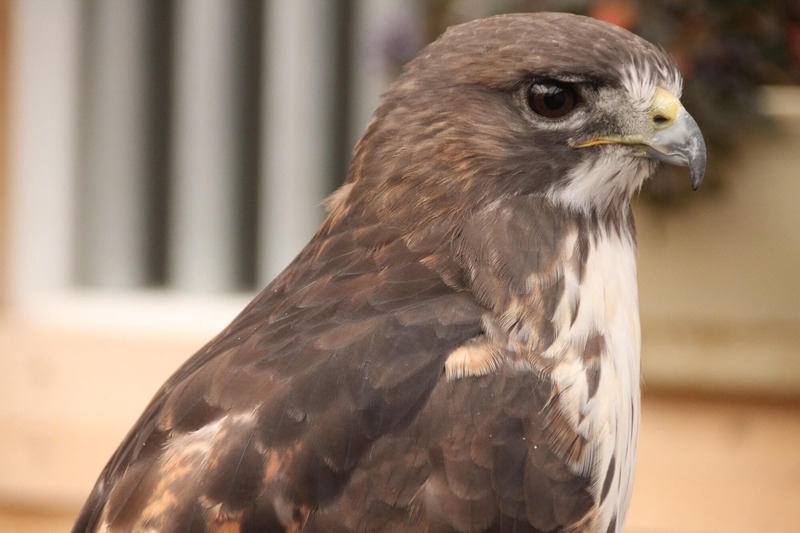 A portion of our proceeds go to the Alaska Raptor Center, a 501(C)3 non-profit organization, for the rehabilitation of wild birds, education, and research. We actually hiked through the Alaska Rainforest Sanctuary in the rain! We had been told that it rains almost every day in Ketchikan so we were prepared with rain gear and plastic bags for our cameras. We were given plastic rain coats at the entrance but we were told we had to leave umbrellas because they are dangerous to carry through the forest. We were met by a fantastic guide/naturalist who named and described the trees, bushes, plants, birds and animals that we saw along the trail. Since we were a small group, we reaped the benefit of being able to ask questions at will. We saw bears in the distance and the remains of salmon who had come back to their spawning ground to die. We also stopped for a long time at Eagle Creek, a protected estuary, where we saw a salmon hatchery and where we learned about the 5 different species of salmon. The rain never dampened our hike because the guide/naturalist had a wonderful sense of humor, making the hike fun as well as educational. At the end of the hike we arrived at the eagle rescue sanctuary where we saw various eagles that had been saved by the sanctuary. The naturalist there made us understand how important the work that they do is to the preservation of all species of eagles. After the eagle sanctuary, we were led into the visitor center and gift shop where we were treated to hot chocolate and cookies. Most of us left purchasing wonderful, high-quality souvenirs because all sales went to benefit the Rainforest Sanctuary and the important work they do. It was a moving and wonderful day that I shall not forget. Whilst this is a sanctuary with boardwalks above a creek (so initially felt it was a little staged) that view was quickly removed when we saw do many black bears and cubs. It was near end of spawning so a big feed of salmon. Also saw otters, sea lion, eagles. A really great afternoon. My husband and I visited this Sanctuary whilst in Ketchikan. Our experiences there were absolutely amazing. Our guides Rylee and Savannah were fantastic. As our group was very quiet whilst walking on the board walks we were privileged to see a bear wander under one of the walkways into the creek and start playing with and catching salmon. She left one at the shoreline and then a mother bear and cub walked underneath and grabbed the left salmon. Being able to watch the bears in their natural environment was truly amazing.